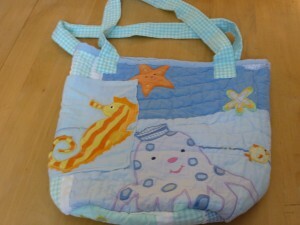 I love tote bags- they make great gifts (will one of these be for you? ), they organize your stuff and you can cram them full. 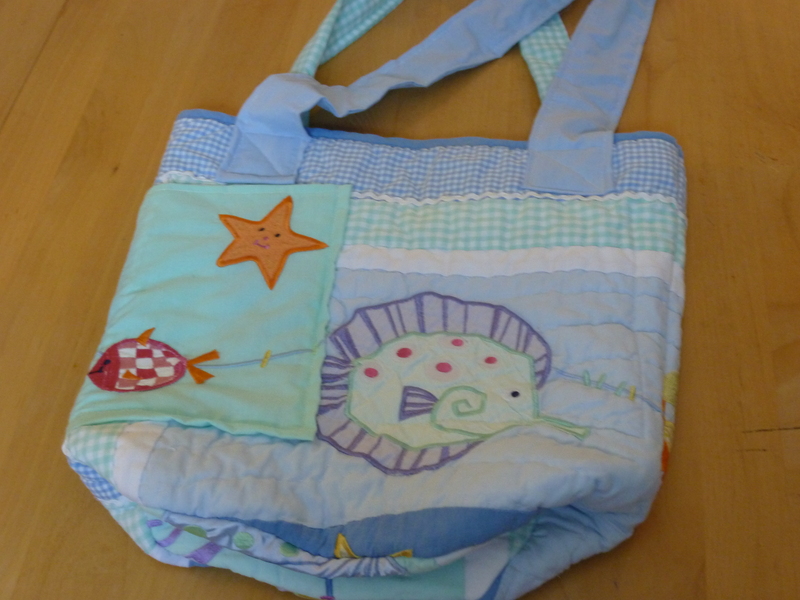 Last year I made from scratch a bunch of totes for family. 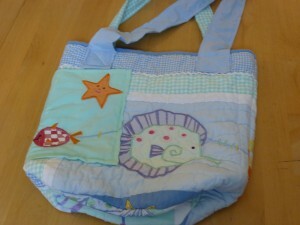 This year, I am making them from tightly quilted quilts I have found at the thrift stores. I found a paisely patterned throw that I got two totes out of- with pockets. I used the scalloped edge to make a nice finished top and two belts from the thirft store (.33 each) for the handles. 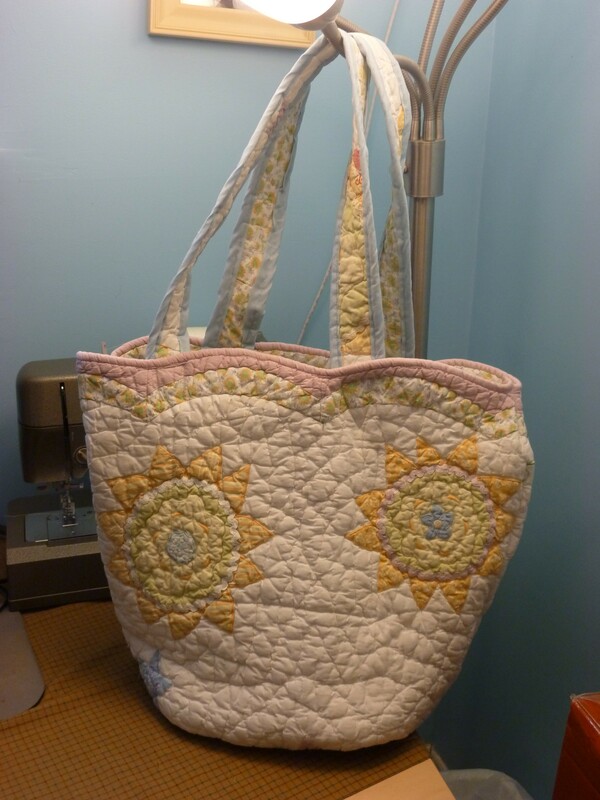 I also found a beautiful baby quilt that made a perfect tote bag with a sunny disposition. 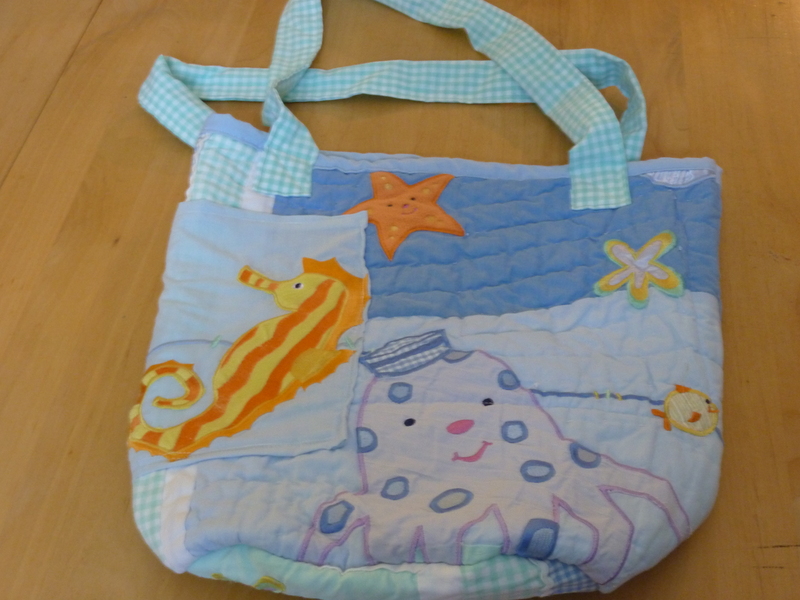 I also found a baby room set (looked brand new) with ocean animal themes, with quilt, valence, bed skirt and diaper holder for $3.00- that is right- $3.00. 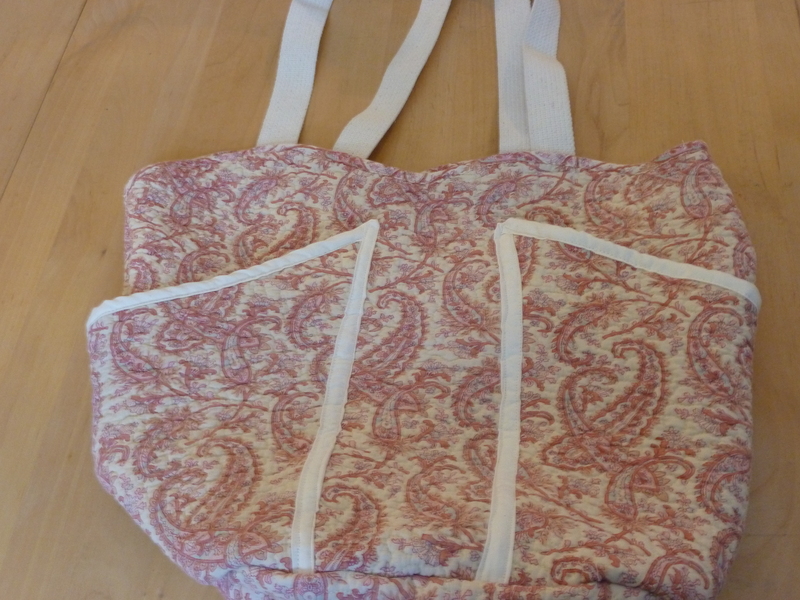 I made this into two tote bags with pockets, straps, and two shopping bags. 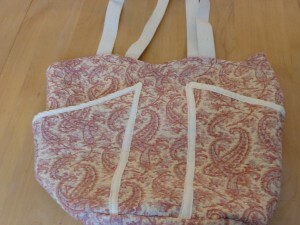 These totes are a little on the small side, but how cute are they!